Although losing someone who has been ill for a long time doesn’t come as a surprise – particularly if the eventual outcome has always only been a matter of time – it is still a shock when it actually happens. No matter how much you’ve been expecting it and rehearsing things in your head, nothing really prepares you for the moment when someone you knew and cared about is no longer around – regardless of how inevitable their demise may have been. A sudden – if entirely predictable – loss can bring a whole range of confusing thoughts and contradictory emotions to the surface. It may represent a blessed release to the sufferer – but it can also be a relief to those who cared about him or her too, however strange that sounds – and it’s important not to forget the needs of those who are left behind, when preparing the eulogy. Writing and delivering the eulogy under these circumstances can be a bit tricky, but the following template and suggestions should help you come up with something which will pay proper tribute to the deceased, while offering comfort and support to those who grieve the loss. 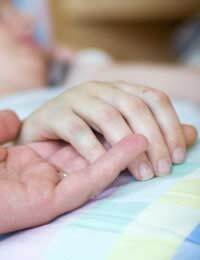 With anyone who has been fighting an illness for some time, there is an understandable tendency for the focus of your thoughts to lie in the last moments of the person’s life, rather than happier, healthier days. Your eulogy needs to step outside of this and commemorate the full story of their life and times – though this may need to be tempered if the illness cut the deceased short in his or her prime. Example: What should I say about Rosie? Well, for one thing, we all know she always hated being called Rosemary and I’ve never understood why. It’s ironic, really – Rosemary is such a beautiful name and this illness that took our Rosie away from us is such an ugly one. She was such a brave lady, fighting it right up to the end; I don’t think I will ever forget that spirit – it should be an inspiration to us all. She’d been so ill, for so long, it’s hard to remember a time when she wasn’t – but we mustn’t forget what an amazing person our Rosie was, and how much she achieved in her life. Don’t forget that the deceased had a life before his or her illness – so celebrate it! Try to find an interesting, amusing or poignant story from the departed’s life that will give an insight into his or her personality and the kind of person she/he was. Few of us are saints, so if the incident is “typical”, but not entirely flattering, provided you tell it sensitively and with feeling, no one will object – and those who knew him/her really well will appreciate the honesty. Example: As a youngster, George wasn’t overly keen on school, but I do remember him telling me that he liked his chemistry lessons. It wasn’t until much later I found out why. As many of you will, I’m sure, fondly recall, he was always partial to a drop or two of whisky – but it seems he developed his taste for the “hard stuff” at a surprisingly early age. His interest in chemistry, it would appear, was definitely more practical than theoretical – and having built his own still at the back of his father’s garden shed – he made a tidy sum as a teenager in the early days of the war, supplying moonshine on the black-market. At least until the local bobby rumbled him! How will those who knew the deceased in sickness and in health, remember him or her and what will that person’s enduring effect be on those who are left? Your concluding remarks should set out to address these issues and offer support and hope to grieving relatives and friends. How will the deceased be remembered by his/her family? How will his/her colleagues/friends recall her/him? Example: To his family, William will always be remembered as a loving father, a fantastic uncle and a wonderful grand-dad; his quiet wisdom will be greatly missed. To his friends and colleagues, their memory will always be of a dependable, honest and trustworthy man – just the sort of person you know you can rely on, if ever you need to. This is his legacy; it is how we shall all remember George in the years to come. His illness may have taken him from us – but it will never rob us of his memory. With a well-written eulogy, you can commemorate a life – not an illness – while bringing much needed comfort to grieving friends and relatives alike. So need help with a short words to give to guy at service to read out about my best friends husband who was also a good to. So need help with a note to give guy at service about my best friends husband who was also my friend to.